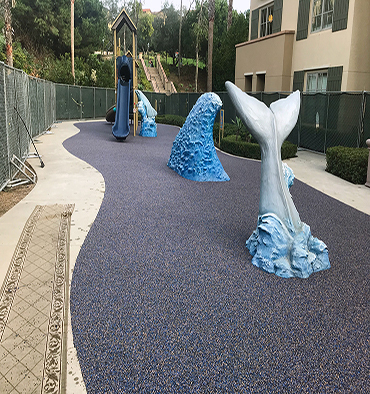 Pro-Tect Turf™ resilient playground surfacing provides a cost effective alternative to traditional playground loose-fill materials like sand or wood chips, with the added benefit of engineered safety and reliability. Protect-Turf™ offers an environmentally friendly, slip resistant, low-maintenance surface that retains its original beauty for years. It can be blown free, vacuumed, hosed off, or may be washed with soap and water using a mild bristle brush. 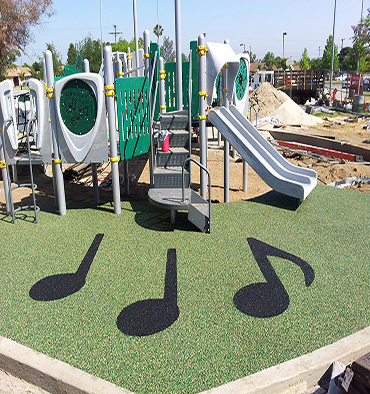 Compliant with the Americans With Disabilities Act (ADA), our surfaces have absorbing properties in accordance with the procedure outlined in ASTM-F1292-09, Standard Specifications for Impact Attenuation of Surface Systems Under and Around Playground Equipment. Fill out the quick-quote form, indicating desired color mix and we'll contact you soon with an estimate. T.J. Janca Construction, Inc., a licensed general contracting firm, is proud to be the exclusive distributor and installer of Pro-Tect Turf™. 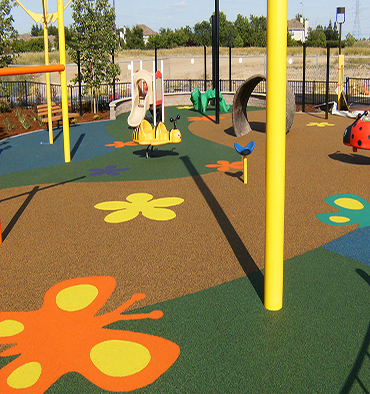 With over 25 years combined experience in playground safety resurfacing, T.J. Janca Construction, Inc. are truly the experts for your next project. We would be happy to provide an updated list of our clients to you, upon request. We are proud of the quality of our work and our commitment to complete projects on schedule. We work with managers, architects, and developers to ensure the Pro-Tect Turf™ installation and maintenance will meet the needs of your environment. Upon request, T.J. Janca Construction, Inc. can provide pricing regarding installation of all substrates, keyways, curbing, compaction, grading, and substrate drainage.